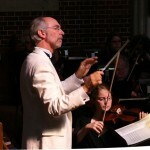 Eric Hansen is currently Music Director and Conductor, a position he has held since 1997. A Bay Area native born into a musical family, Mr. Hansen has performed professionally (violin & trumpet) since the age of 15. At age 16 he was soloist with the San Francisco Symphony, playing the Violin Concerto in G minor by Max Bruch. His father, Robert Hansen, was a member and conductor of the Golden Gate Park Band over a period of 50 years, and his mother, Geraldine, taught piano to generations of students. Music study continued at UC Berkeley, where he served as concertmaster of the University Symphony Orchestra and studied conducting with Michael Senturia. Upon graduation he received the prestigious Eisner prize for Outstanding Music Graduate. Mr. Hansen received his Master’s in Instrumental Conducting at the University of Michigan as a teaching fellow, studying under Gustav Meier. Additional conducting study with Daniel Lewis, Dennis deCoteau, Herbert Blomstedt, and Jon Robertson followed. With a particular interest in new music and composition, he has worked with and conducted works by such composers as Christopher Rouse, Gian Carlo Menotti, Peter Maxwell Davies, Gregory Ballard, Robert Hughes, Ross Bauer, Frank LaRocca, Douglas Johnson, and Ron McFarland. Mr. Hansen has premiered new works with the Oakland Ballet, the Berkeley Contemporary Chamber Players, Composers, Inc., the Empyrean Ensemble, and New Music at Berkeley. 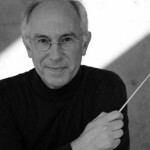 He has conducted the California Symphony Orchestra, the Pacific Symphony Orchestra, the San Francisco Chamber Orchestra, the Kensington Symphony Orchestra, the Berkeley Symphony Orchestra, the Redding Symphony, the Reno Philharmonic Orchestra, and the Redlands Symphony. Enjoying work in a wide variety of musical styles, Mr. Hansen has also been the conductor for the Grammy Award–winning jazz singer, Ms. Diane Schuur. He has recorded with the Skywalker Symphony at Lucas Recording Studios as well as at Phantasy Studios and the Record Plant. In summer 2010 he was a guest conductor at the Fairbanks Summer Arts Festival in Alaska, inaugurating a Klezmer Ensemble, for which he also composed and arranged the music. 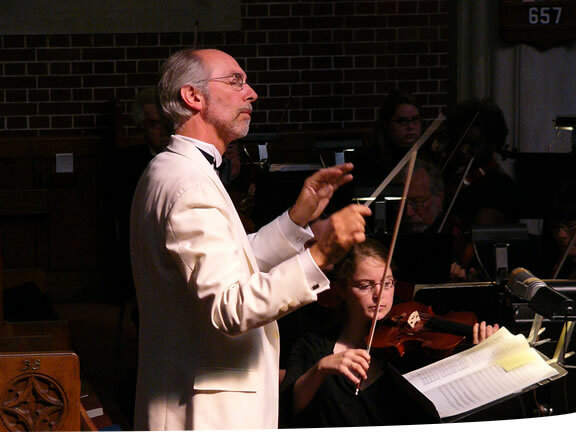 Mr. Hansen has appeared as a conductor and clinician with numerous pre-professional and educational ensembles throughout the United States and Europe. In 2000 he toured Prague, Vienna, and Budapest as conductor with the Palo Alto Chamber Orchestra, leading the group to win the prestigious “City of Vienna” prize for chamber orchestra. Other recent performances include the California All-State Honor String Orchestra, the California Orchestra Director’s Association All-State Honor Orchestra, and the Utah All-State Honor Orchestra. 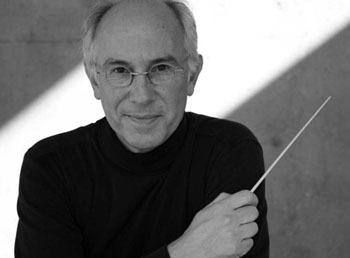 He has conducted the UC Berkeley Symphony, the San Francisco Conservatory Orchestra, the Palo Alto Chamber Orchestra, the San Domenico Chamber Orchestra, the Oakland Youth Orchestra, and the Young People’s Symphony Orchestra. A passionate music educator, he recently retired from a 23-year career as Music Lecturer at California State University, East Bay. Mr. Hansen continues to teach violin, viola, trumpet, and conducting privately from his Bay Area studio (eehansenstudio@gmail.com).